Dictyota, a brown algal genus (Phaeophyta), is one of the most common genera of macroalgae along tropical to warm temperate shores. The delimitation of species within the genus, however, is notoriously difficult because of large and complex morphological variation. Few diagnostic characters are found and a high degree of morphological plasticity is known. 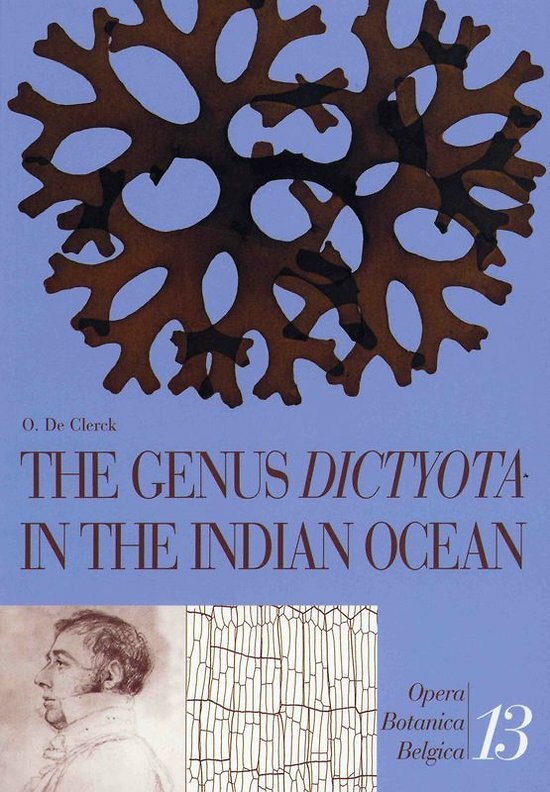 The genus' representatives in the Indian Ocean are revised in the present book. A general part documents broadly on the taxonomic history, morphology, anatomy and reproductive structures of Dictyota. In the taxonomic part 23 species from the Indian Ocean are treated. For each species, synonyms are listed, nomenclatural remarks and typification are given as well as ecological and chorological information and an enumeration of the specimens examined. The detailed descriptions emphasize the variability of characters and are copiously illustrated (photographs, L and SE micrographs). Each species is extensively discussed and compared with similar taxa. 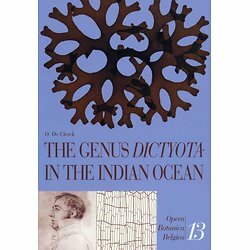 The descriptive chapter is followed by a discussion on taxa of which the presence in the Indian Ocean is doubtful. Finally a list of all existing Dictyota names is presented, with reference to protologue, type specimens and currently accepted identity. The author is a postdoctoral fellow of the Fund for Scientific Research – Flanders (FWO, Belgium). The revision of the the Indian Ocean representatives of Dictyota is a part of his doctoral thesis at the Ghent University (UGent).